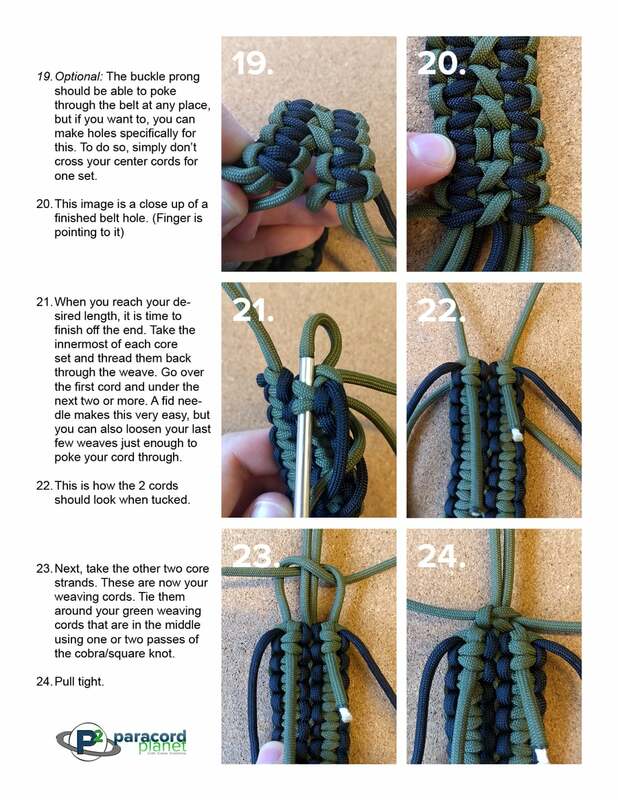 This 7-page printable tutorial teaches you how to make a paracord belt. 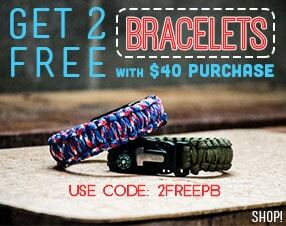 If you have made a lot of bracelets and are ready to move on to something bigger, this is the perfect next step. Scroll down to the bottom of this page for a link to download the PDF version, as well as some useful tips on how to make this project easier. Be advised, this project takes some time, but it is entirely worth it! 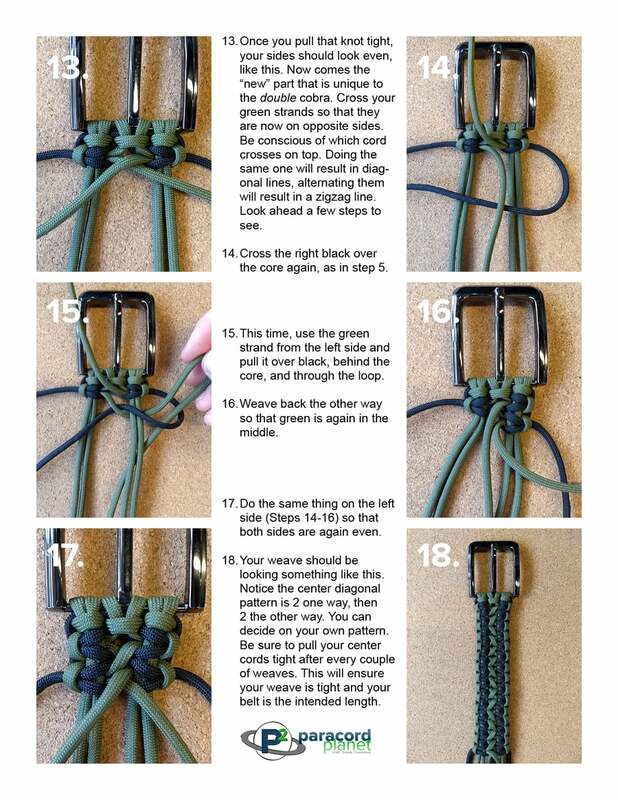 You will need two sets of center strands (see page 1). To calculate the length for your belt, take your waist measurement in inches and double it. 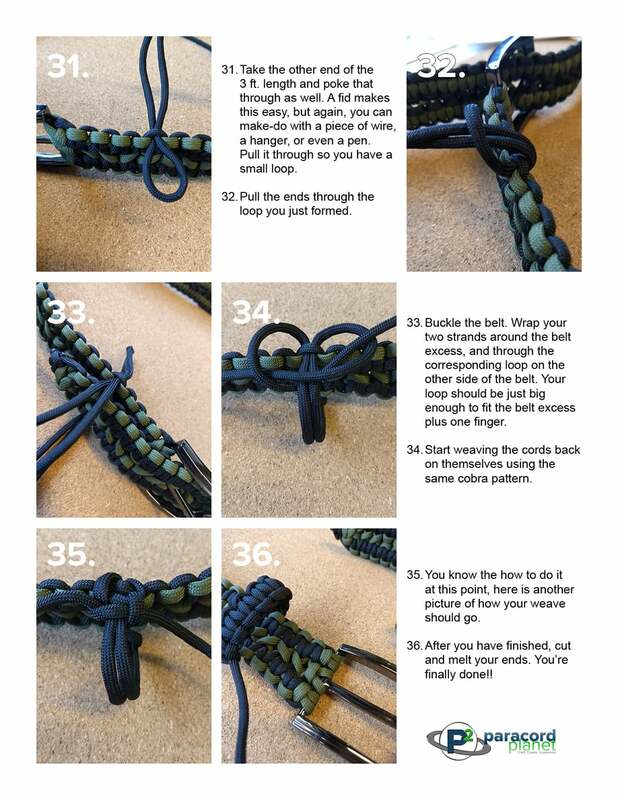 Then add 24 inches for a little extra length to your belt and some room for error. (waist + waist + 24") You will need two pieces this length. 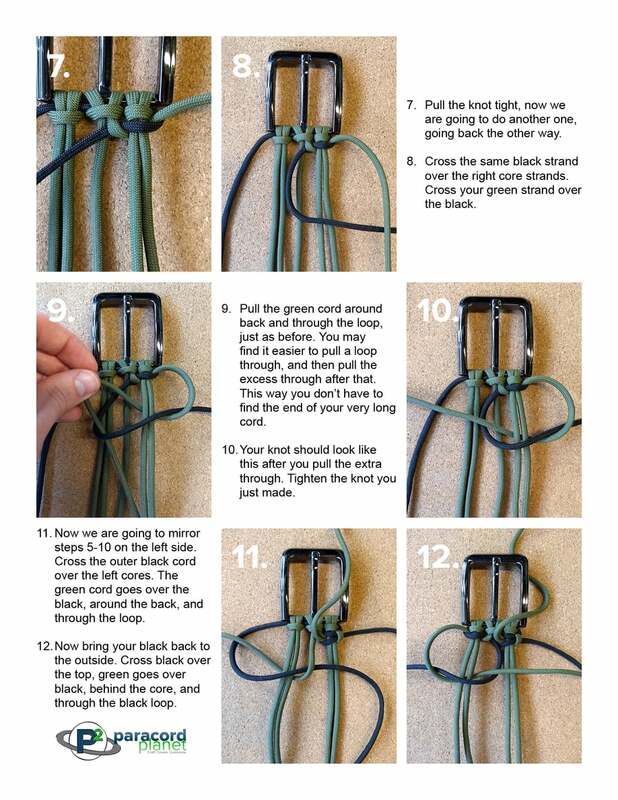 If you want to make a retention loop, you will need an additional 3 feet of paracord. Time: Depending on your experience level, this project can take as much as 8 hours or more to complete. Even for someone who is familiar with the concepts used, this project will take quite a few hours. 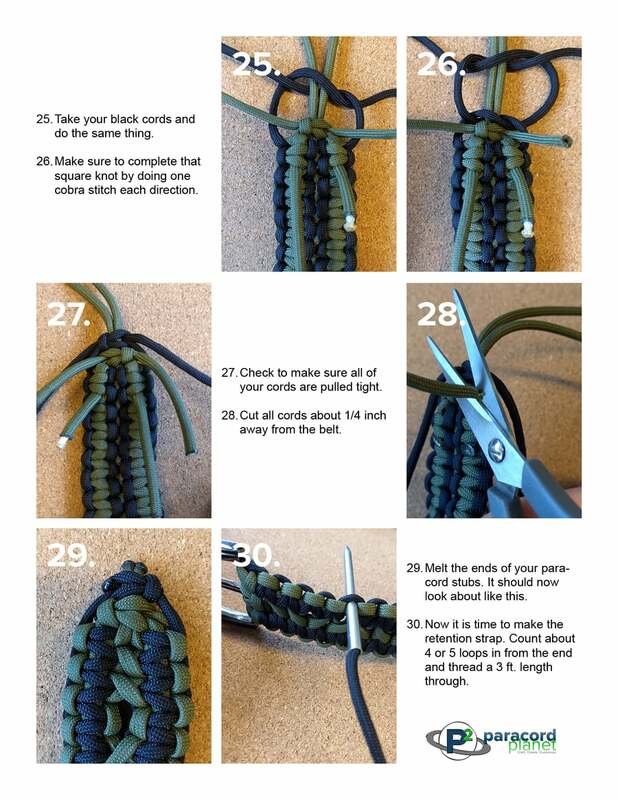 The colors used in this tutorial are "Olive Drab" and "Black". 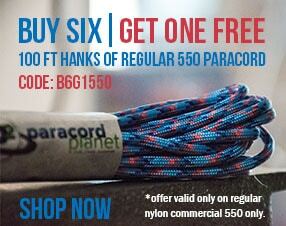 Browse all of our paracord colors here! Depending on your preference, you can use the back side of this belt as the front for different look. Just flip your buckle upside down before you start. 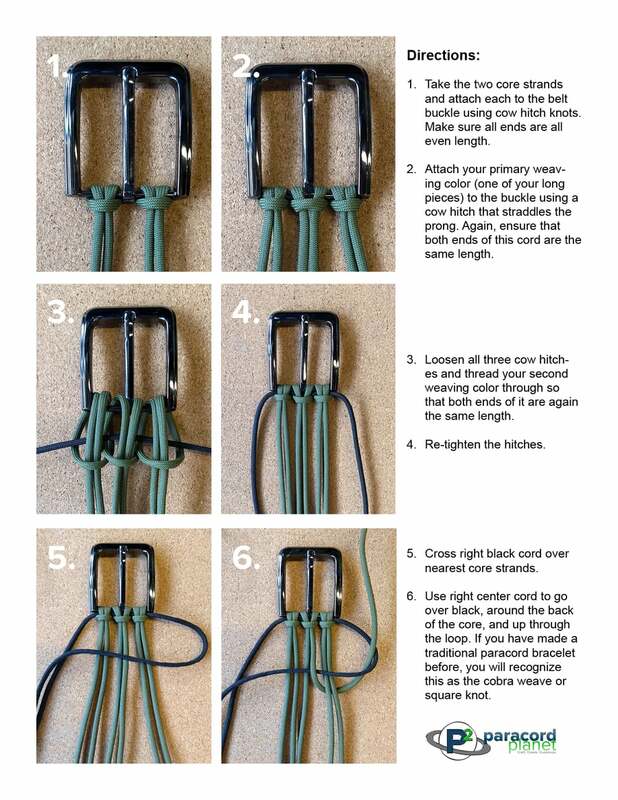 If you want a less bulky retention strap, you can use coreless paracord. 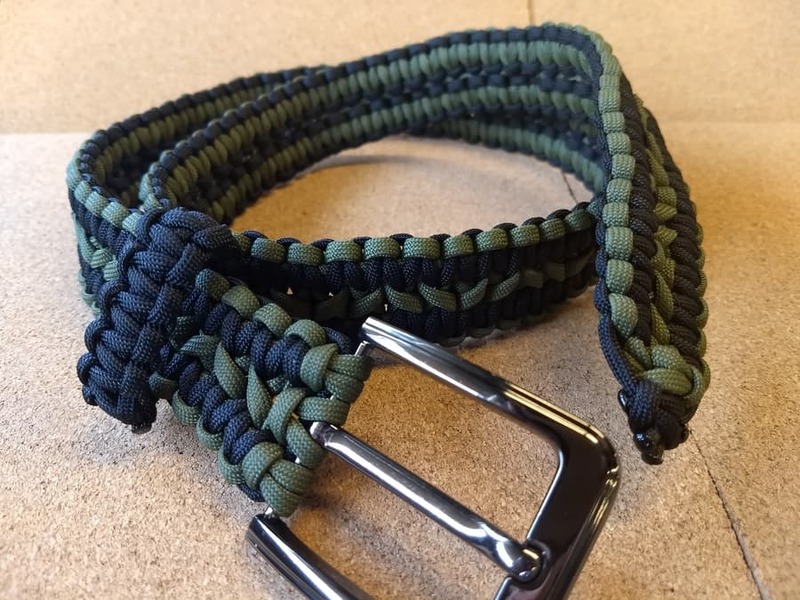 (Paracord with the center strands removed.) 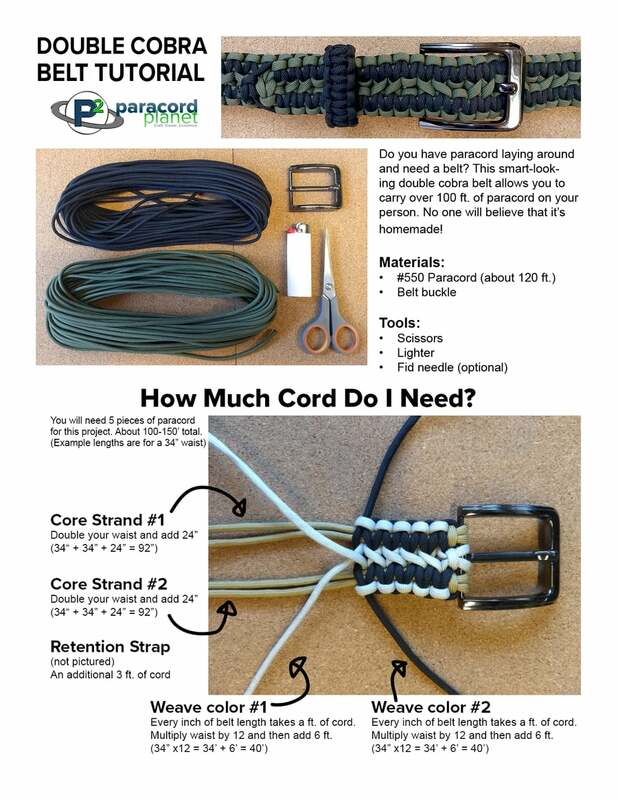 If you don't want to do that work yourself, you can buy coreless paracord here.